Providing you the best range of power shearing machine, hand operated shearing machines, treadle type shearing machine and rod shearing machine with effective & timely delivery. 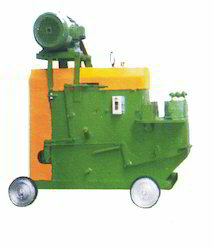 We are offering a wide range of Power Shearing Machine. Power Shearing Machine is very easy to use. ‘JMTC’ Hand Operated Shearing Machine is available in a wide variety of Sheet Shearing Capacities and different metals. Hand Operated Shearing Machines are heavy duty in design and designed to work for long periods without maintenance and breakdown. The materials used in the these machines are of high quality to ensure mass production and long life. ‘JMTC’ Shearing Machine Treadle Type are indispensable in sheet metal industries as they are of versatile design, rigid construction and fitted with best quality and material blades to ensure long production life and low maintenance and less wear and tear. They are such designed for continuous heavy production and ensure cutting of steel and other metal sheets into strips as per set guages . 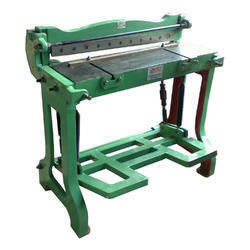 Shearing Machine Treadle Type are both available in cast iron body/ steel fabricated bodies. 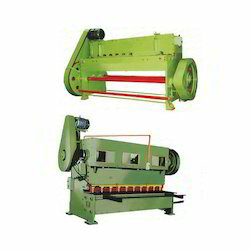 We are offering a wide range of Rod Shearing Machine. Rod Shearing Machine is very effective machine.